Stereo amplifier module for headphones with a maximum power per channel of 75mW. It is designed to connect to a mixer desk output or to the auxiliary input of any video or sound device. 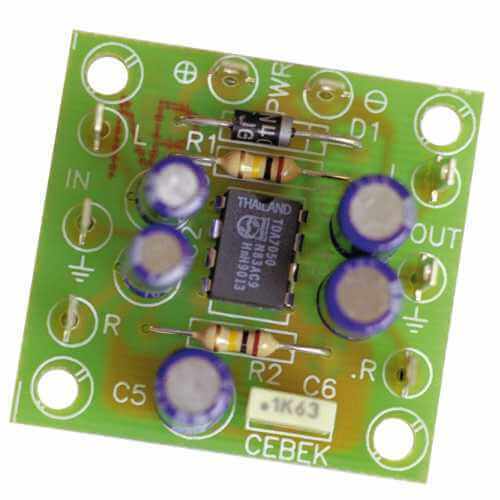 Uses a TDA7050 audio amplifier IC.